Kicking off Thursday, May 31 and running until Sunday, June 2, Ben McNally Books is hosting their second annual In Her Voice Festival, a platform to showcase excellence in female authorship at the Centre for Social Innovation – Annex. 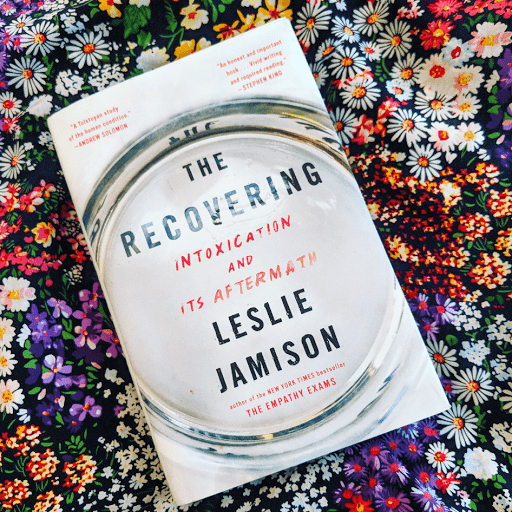 On June 2, from 6:30 to 8 p.m., Shedoesthecity Editor-in-Chief Jen McNeely will be interviewing critically acclaimed author Leslie Jamison about her hot-off-the-press memoir, The Recovering: Intoxication and Its Aftermath. A graduate from Harvard and Yale, as well as a finalist for the Los Angeles Times Book Prize, Jamison is known for her bestselling book, The Empathy Exams. Her latest masterpiece (oh, it is) is a gripping autobiography of her journey as an alcoholic and a writer. In The Recovering, Jamison offers an unflinching account of her personal story, which is disturbing, hilarious, and beautifully poetic all at once. Unlike other recovery memoirs, The Recovering uses an approach that is both creative and immaculately researched. She does a historical deep-dive into the connection between writing and escapism, examining literary geniuses throughout time whose use of drugs and alcohol were tools for writing as much as ink and paper. In doing so, Jamison draws several fascinating theories about the connections between creativity and intoxication, closely analyzing the tangled knot in which writers are so often caught. Juicy, well thought out and exhilarating, this richly packed page-turner will be devoured by anyone who picks it up. Beyond her stunning accomplishments as a writer, Jamison also directs the graduate non-fiction program at Columbia University. She lives in Brooklyn with her husband, novelist Charles Bock, and their two daughters. With alcoholism being an important part of both Jen McNeely’s and Shedoesthecity’s history, we’re very much looking forward to this event, which will undoubtedly provoke a thoughtful and engrossing conversation. Please join us Saturday, June 2nd, 2018, 6:30 to 8 p.m. (doors open at 6 p.m.) at CSI Annex Lounge (720 Bathurst Street). Tickets are $12.50 for adults ($10.00 for students/seniors). Reserve your spot here. Read about all the programming at this year’s In Her Voice festival here.